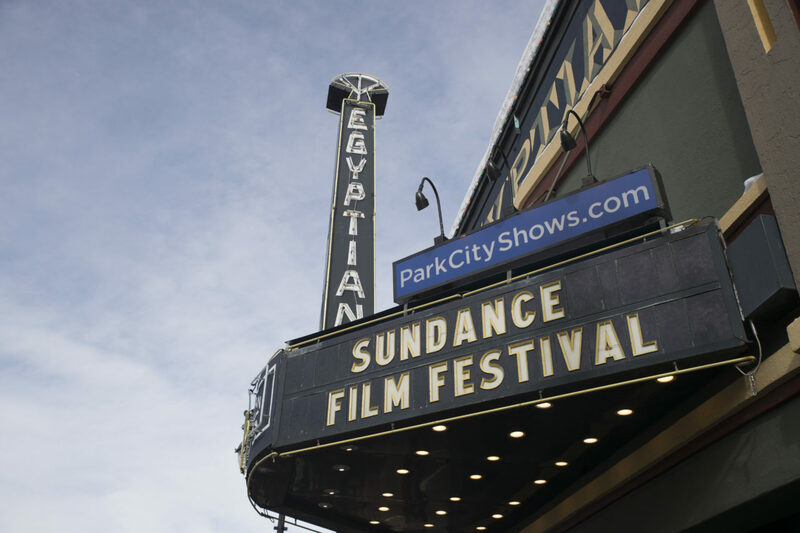 The Egyptian Theatre on Main Street during the Sundance Film Festival in Park City, Utah on Sunday, Janurary 22, 2017. Chris Ayers Daily Utah Chronicle. What is a B-movie? Most people would describe it as a bad movie or — sometimes — a movie that is “so bad it’s good.” This isn’t quite right. B-movies came about during the 1920s to 1950s — otherwise known as the Golden Age of Hollywood. This was back when theaters and their actors were owned by production companies, referred to as the “studio system.” These big box film companies, such as MGM, 20th Century Fox, Paramount and Universal, came up with the idea of a double feature. Originally used in traditional theater and opera, the double feature was a tactic to lure people in by selling them two movies or performances for the price of one. That’s when the B-Movie took shape. A B-Movie is a low budget film that would be the second feature to a major motion picture. Just because they were low budget, does not necessarily mean they were bad. The B-Movies of yesteryear may look bad in comparison to the glistening CGI of Smaug’s smug smile, but many had quality content. On the other hand, that doesn’t mean that there weren’t a few clunkers. These films quickly evolved into genre film. The first genre to come was the good old Western, soon after came sci-fi and horror films. From “My Dear Clementine” to “Frankenstein,” we have classic films like the original “Dracula,” “The Mummy,” “The Blob,” “King Kong,” “The Day the Earth Stood Still,” “The Lone Ranger” and “Plan 9 from Outer Space.” Some of these films went on to spawn sequels, like “The Bride of Frankenstein,” “The Son of Dracula” and basically every “Godzilla” film. What does this mean for our movies today? Well, there are some B-movies out there that turned out to be huge successes, if not simply cult classics. Examples of this are “They Live,” “The Iron Giant” and “Sharknado.” Despite the skyrocketing use of Netflix and Hulu, quality control has become a little annoying, making B-movies hard to find on these streaming platforms. There are still a few gems that can be found and are definitely worth watching. Set in a post-apocalyptic 1997, this Canadian/New-Zealand film — released in theaters for the 2015 Sundance Film Festival — has an impeccable soundtrack with sick synths and radical riffs: Everything about this movie feels like an ’80s adventure. It has the classic Freddy Krueger-“Jaws”-“Monty Python”-style gore, but with a comedic twist. It tells a great story without needing to say much and it does a lot without needing a lot. I cannot recommend this movie enough; it’s a touching story with an enjoyable amount of everything. It was the first movie to make me cry in a long time — that’s how good this movie is. If you enjoy this movie, I would also like to recommend “Kung Fury,” which is sadly not available on Netflix anymore, but is still a great movie. That just about wraps up our crash course on B-movies. Be sure to check out these titles on Netflix.